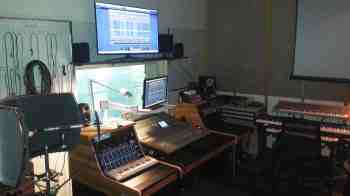 Welcome to “Medienmusikpraxis” (MMP - Media in music production), Institute of Music, University of Oldenburg, Germany. We offer a bright spectrum of seminars and courses. Examples: professional digital and analog music production, experimental and performative usage of multimedia- and music technologies. Our teaching subjects are connected to BA/MA modules (Musikpraxis, Didaktik, Multimedia...) at the institute of music. With more than fourty years of experience (history-link below) we are looking for close cooperation with our students in terms of quality and in- output. 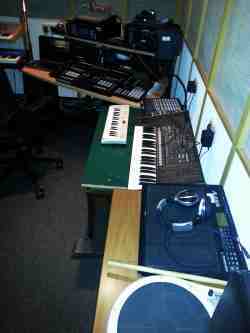 Our subjects range from beginners courses to professional highend audio- and music production. 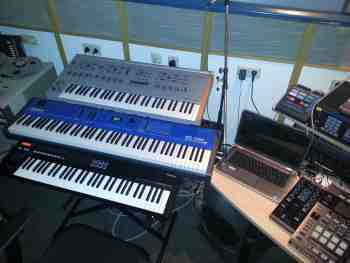 BA and MA Exams include topics like computers in music education, digitally based composition techniques, computer notation, analog and digital djing, vjing, sounddesign, digital audioformats, loudness war, classical-pop-rock-electronic-hiphop etc. production, acapella, webbased cooperation and many more. Medienmusikpraxis is part of our BA/MA modules and we are cooperating internally, externally and also on an international basis.